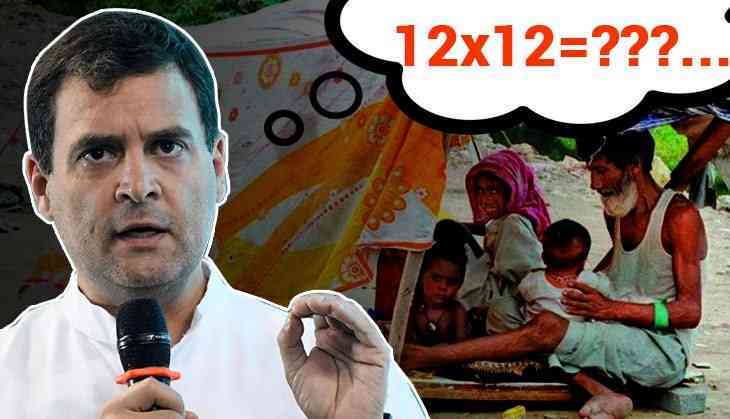 Ahead of 2019 Lok Sabha Elections, Congress chief Rahul Gandhi made a big announcement for the poorest family of India, during his press conference in Delhi on 25th March. Congress chief announced the party’s poll promise and unveiled the minimum income support scheme. While addressing the media in Delhi after the Congress Working Committee, Gandhi said that the party will give Rs 72,000 annual income support for 20 per cent of the poorest families if they voted to power. '20 per cent of the poorest families will be given an income support of Rs 72,000 every year,' Rahul Gandhi said. He also added that the amount will be directly transferred to the bank accounts of the poor. With this income support scheme, Gandhi-led party is planning to give the benefits to the five crore families and 25 crore members of these families. Instead of getting appreciated for his latest announcement, social media trolled him brutally for his Mathematical calculations and called him duffer.